Summer is here in full force in Colorado and that means that rhubarb is being grown in every backyard. I love having plenty of friends who have rhubarb plants in their backyard but must admit that I am glad that I don’t have one. I can’t stand to see things go to waste and rhubarb is one of those plants that you get a surplus of in no time! 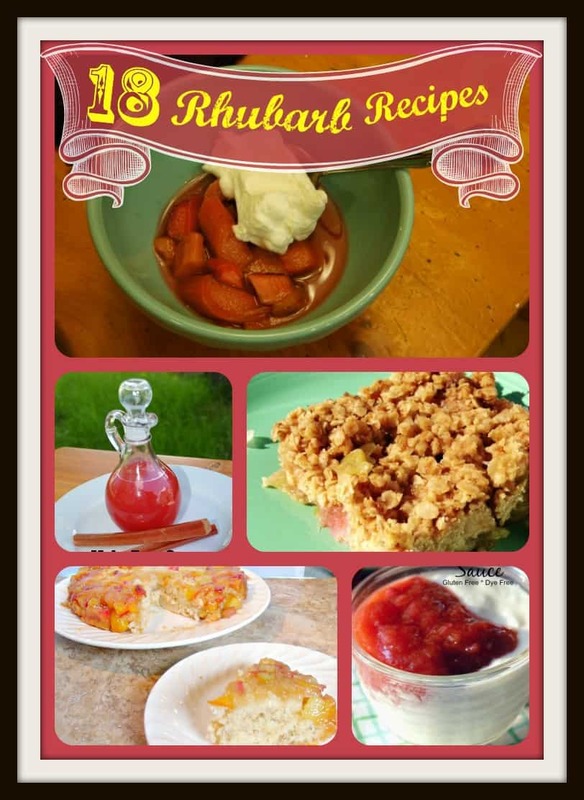 If you have a rhubarb plant in your backyard this is the post for you! Not only does it offer variety in your dishes for rhubarb but it offers a couple ways to preserve it for future use. After all it would be nice to have a rhubarb cake in November once in awhile, why does summer get all the fun? I have rhubarb growing in the garden and it is one of my favorite flavors in dessert! Thanks for the selection of recipes! I LOVE rhubarb! Thanks for sharing such delicious ideas! These all sound so delicious! I can’t remember the last time I had rhubarb but love the flavor! I have actually never tried Rhubarb. These recipes look delicious and inspire me to want to try one! you know I have never had rhubarb, sounds very tasty!